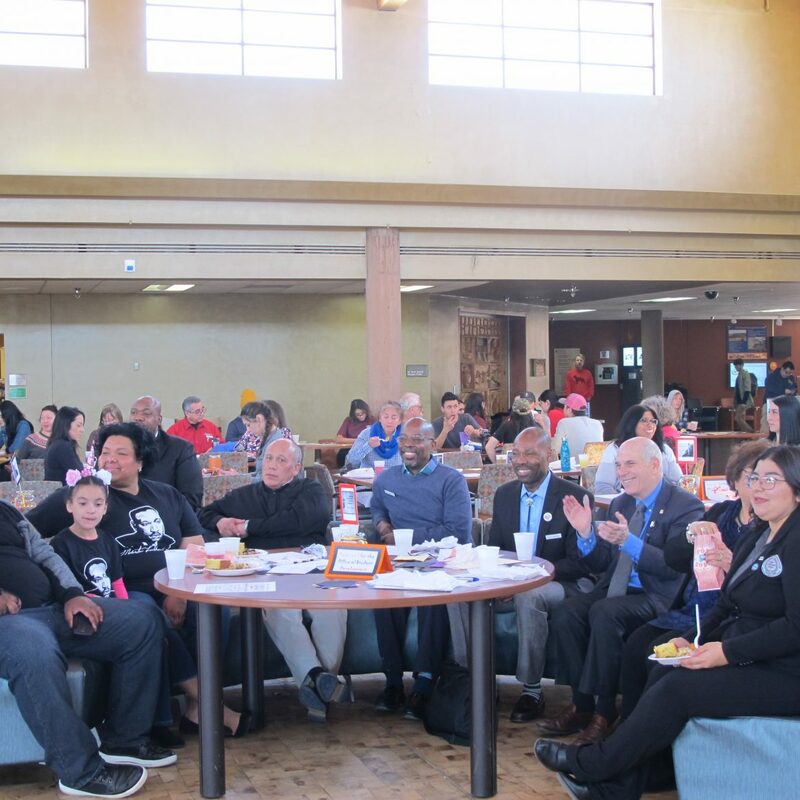 Tone Forest, Tony Buford, Ramon Lavado and Wyetta Bradley shared readings of works by Langston Hughes, Martin Luther King, Jr. and Maya Angelou and others along with musical accompaniment on Feb. 19 as part of the Black History Month celebration at SFCC. 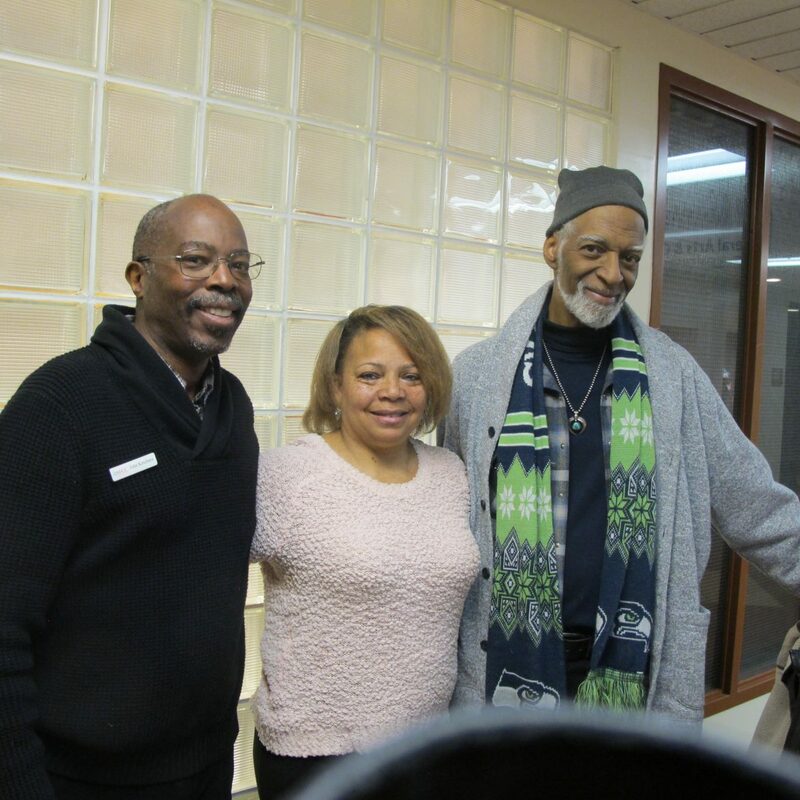 A panel explored Black history, identity and racism during the Feb. 19 event. 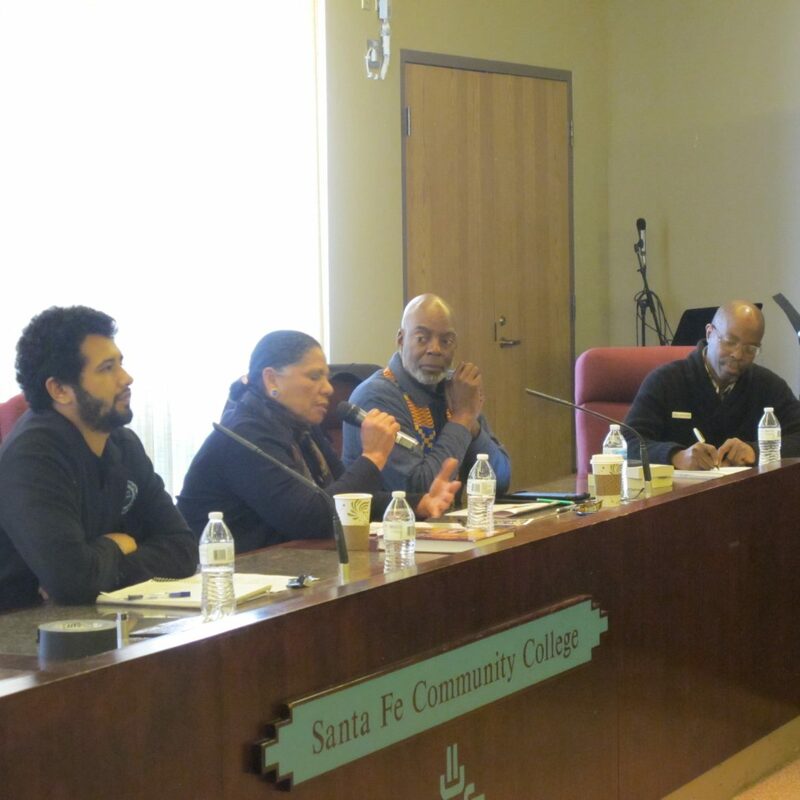 Left to right: Moderator: SFCC Staff member John Ketchens and panelists: SFCC (legal studies) student and Student Ambassador Isaac Bonnett; Rita Powdrell, Director of the African American Museum & Cultural Center of New Mexico; and George Geder, genealogist and writer. 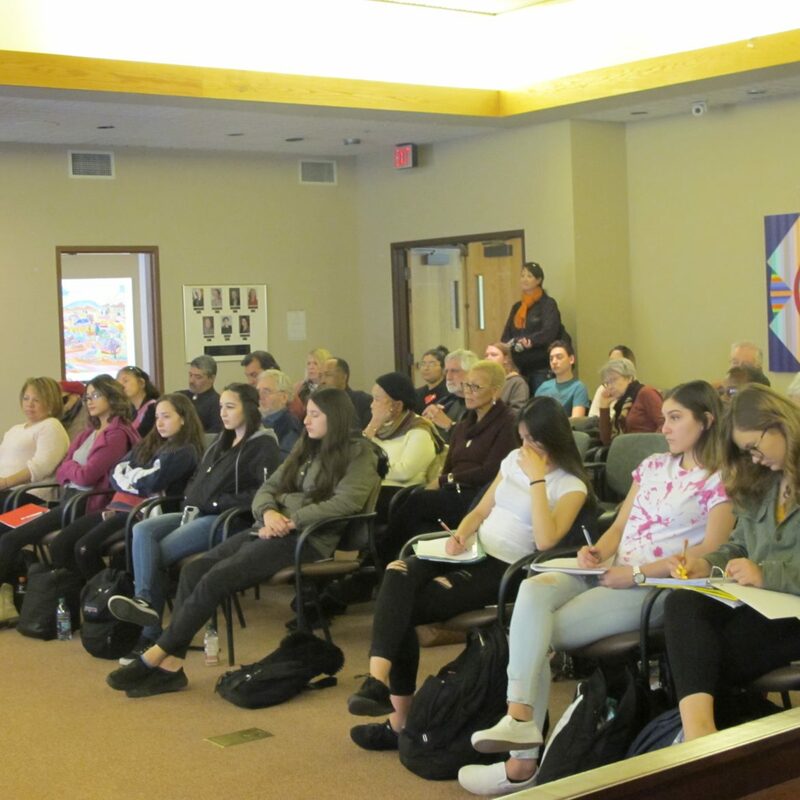 Jamal Martin, Ph.D. spoke on Feb. 12 and delivered a presentation on "Contemporary Issues Facing People of Color." The University of New Mexico Professor addressed the historical roots of racism in the country and in academia. Cathryn McGill moved the audience with her soulful vocals. Interim President Cecilia Cervantes, Ph.D. and Santa Fe Mayor Alan Webber display the proclamation for Black History Month. RaySean (an SFCC student) entertained with hip-hop with a positive message. Toni Morgan sang as part of the closing festivities for Black History Month. Student Involvement Coordinator Mary Eleas kicked off festivities at the closing ceremony of Black History Month on Feb. 28 by introducing interim president Cecilia Cervantes, Ph.D. who spoke about the college’s commitment to diversity and providing a welcoming campus to all. She introduced Santa Fe Mayor Alan Webber and spoke of SFCC’s ongoing dialog with the City about the Midtown Campus. Mayor Webber spoke about hearing Martin Luther King, Jr. and how that fueled his commitment to social justice and equality. He talked about how the City’s Police Department is particularly addressing equal treatment of all people. 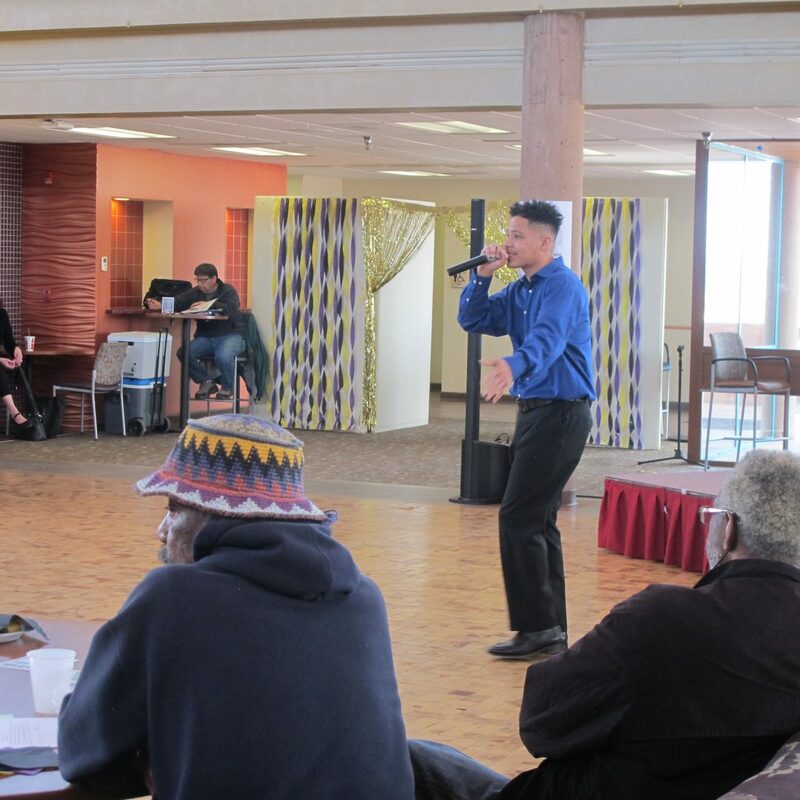 The afternoon’s dynamic line-up of entertainment included Blues and Soul vocalist Cathryn McGill, hip-hop artist RaySean (an SFCC student) and Gospel and R & B singer Toni Morgan. Morgan was a former back-up singer for Gladys Knight and won the Best Gospel Singer in New Mexico award in 2015. Adding to the festivities, Student Ambassadors and participants in the Office of Student Development served special food for the Closing Ceremony event, which included yams, collard greens, fried pickles, cornbread and black-eyed peas. 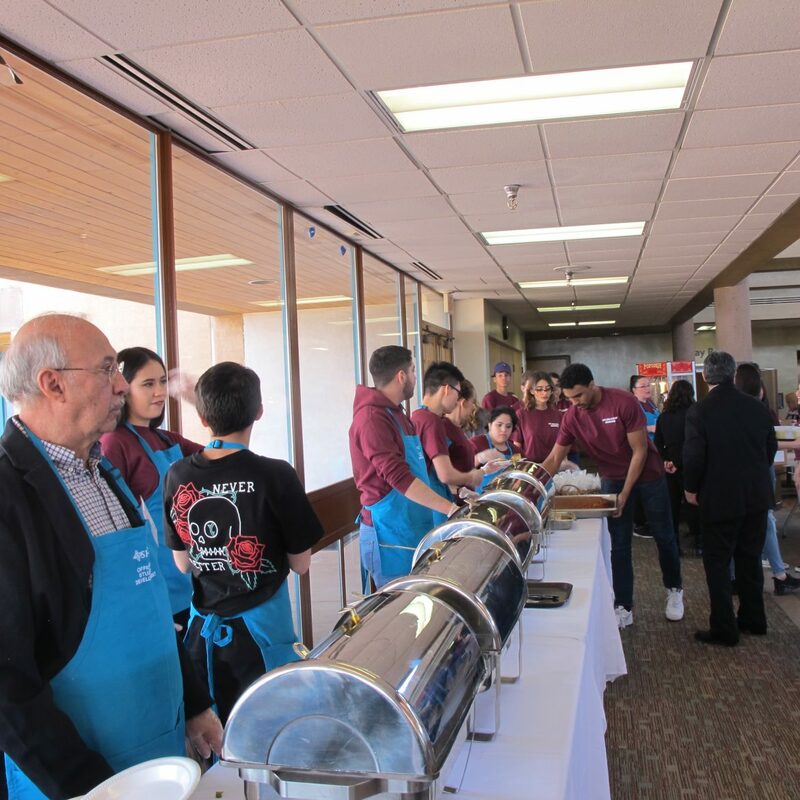 Thanks to Behzad Dayeny and the Food Services staff for the food preparation. The month was marked by a series of special events, panels and readings of poetry and writings of esteemed Black authors and poets. A powerful art exhibition by Nikesha Breeze graced the front college entrance. The event planning committee for the month included Yuri Findlay, Steve Martinez, Ph.D., Mary Eleas, Wyetta Bradley, Ernest Kavanaugh and John Ketchens. 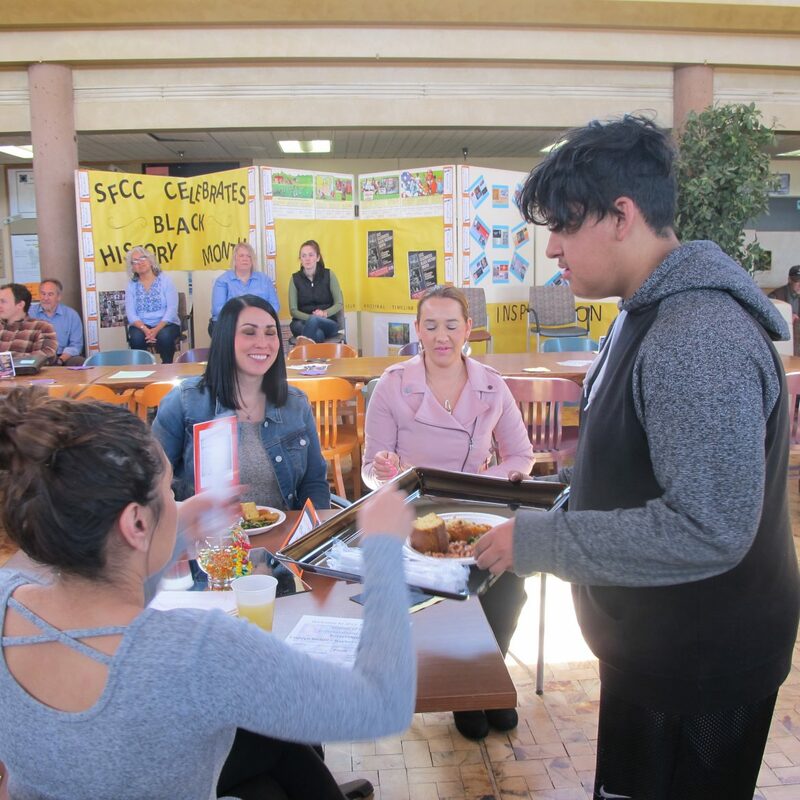 Santa Fe Community College’s Black History month events were presented by the Office of Student Development and the President’s Advisory Diversity Advisory Committee.